After reading this book, I could not figure out exactly why the title was chosen. Which bothered me. A lot. 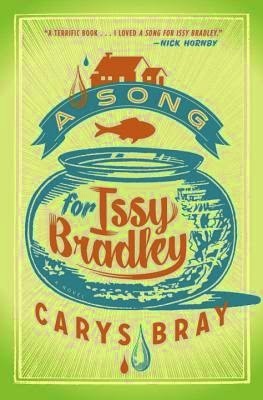 Although Issy Bradley was one of the characters of the story, the story did not entirely focus on her nor did it explain what a song for Issy Bradley even really meant. The story did have its merits and the characters were fairly interesting however I kept waiting for something more to happen and sadly nothing ever really did. I understand that it is a story about a family grieving and trying to muddle their way through that but it also seemed to just plod along without much really happening. The part of the book that I found interesting was the Mormon aspect of it. I liked that I came to understand this religion a little bit more and even some of the misconceptions were cleared up by the author like how Mormons are sometimes confused with Jehovah's Witnesses. This is a religion that I definitely don't know much about but that I find interesting in its own way. It was also interesting to see an English family being Mormon as I had never considered that they existed outside of North America. This story did have its moments but I was sadly disappointed though I am not quite sure where I expected it to go. I just expected it to go somewhere, anywhere from where it started off really.